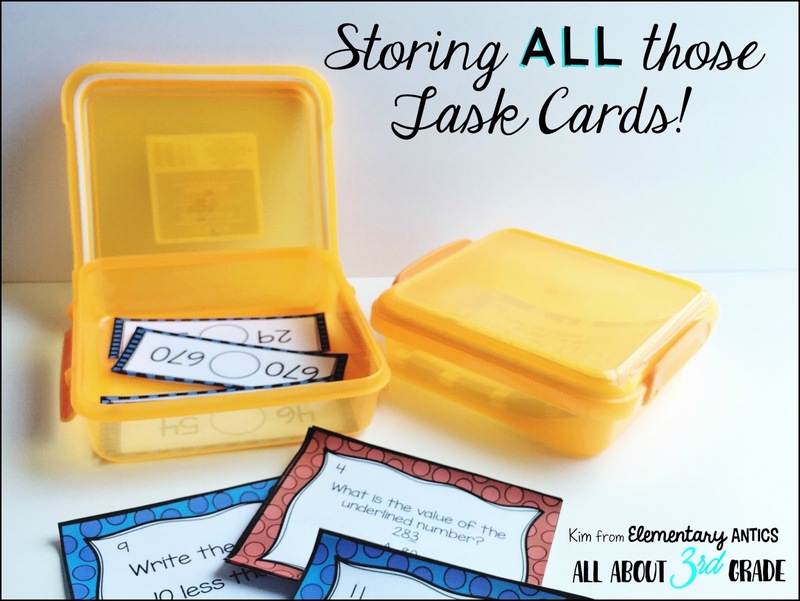 I don't know about you, but I loved using task cards during my centers in my class. I used them in both math and reading. 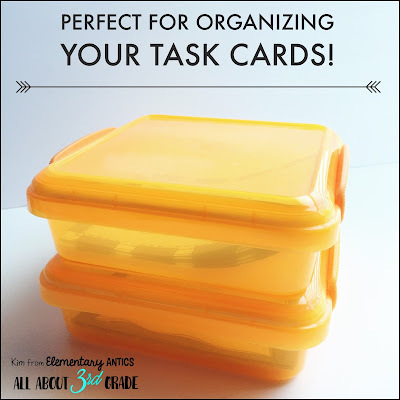 I struggled with organizing them in an easy way. 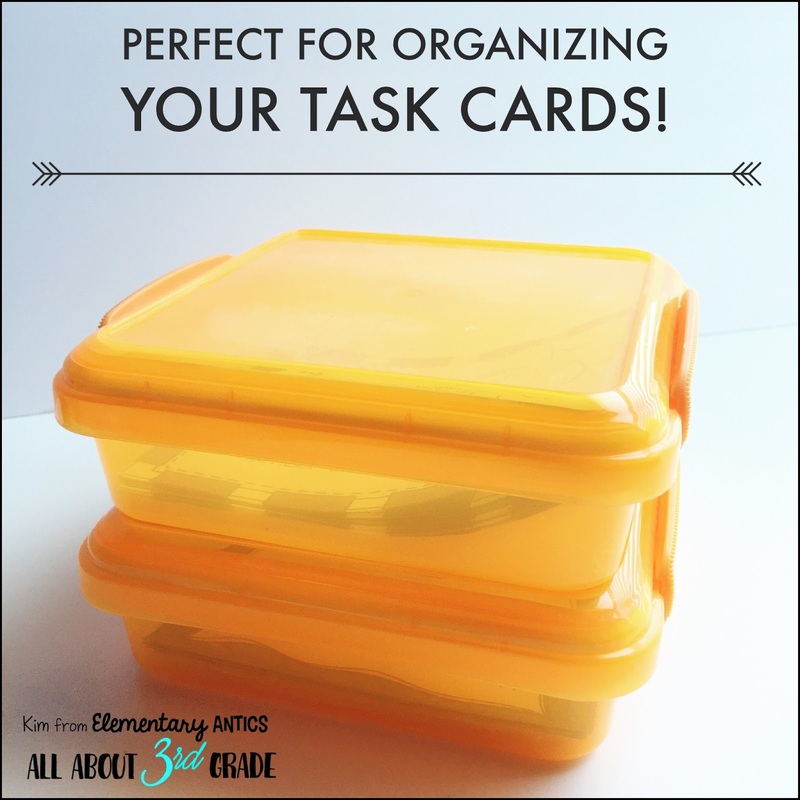 I wanted to be able to keep them accessible to my students and myself, so that crossed off file folders or page protectors. I also didn't want them to take up a lot of room in bulky containers since I only had limited shelf space. I was at The Dollar Store one day and saw these sandwich containers. It suddenly occurred to me that these would be the perfect for storing task cards! They were colorful, yet transparent so, I could easily see what was in there. They were small. And they were only $1! I see these often in the store, so if you stop by and they don't have any just check again the next time you go. 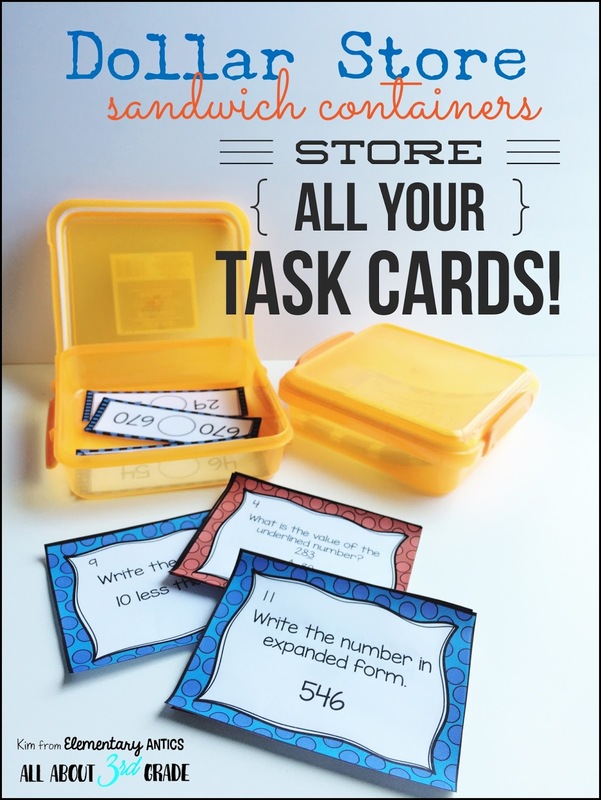 If you're more interested in a paperless classroom, you will love my Digital Place Value Task Cards!